Consumer Guide’s test Audi SQ5 arrived very well equipped. Including the destination charge, our test truck came to $60,525. Special badges and a unique grille are part of the Q5’s “S” treatment. The Q is Audi’s designation for its crossover products. The 5 indicates its size (the Q7 is a full-size truck, the Q5 midsize, and the Q3 a compact). Finally, the S prefix stands for, somewhat predictably, Sport. In this case, that S brings with it a serious amount of sport. We’ll get to that in a moment. The Q5 lineup covers a lot of ground in terms of both performance and price range. While our well-equipped top-of-the-line test truck came to a healthy $60,525, the lineup starts around $40,000. The base Premium model gets you a 220-horsepower 2.0-liter turbocharged 4-cylinder engine and quattro AWD, which is standard across the line. For about $46,000 comes the Premium Plus model, with a 3.0-liter supercharged V6 good for 272 horsepower. Starting at $53,000 is the SQ5, with comes with a tweaked version of the supercharged V6 that’s good for a heady 354 horsepower. Also available are diesel and hybrid models, both of which will set you back around $53,000 nicely equipped. The SQ5 comes standard with a generous list of features, and our test SQ5 was optioned up beyond that. Adding to the base price was the Sepang Blue Pearl paint ($500) and the Technology Package ($4000), which includes a navigation system, park assist, HD radio, and the Audi Assist telematics system. The SQ5’s cabin upholds the German maker’s reputation for class-leading materials and assembly quality. I’ve long been a fan of Audi cabin design, and the SQ5 did not disappoint. Though other manufacturers have closed the cabin-material quality gap with Audi in recent years, this German maker still ranks near the top for luxury look and feel. In the classic European tradition, every switch, knob, and button moves with satisfying smoothness, clicking into place with a reassuring visceral snick. 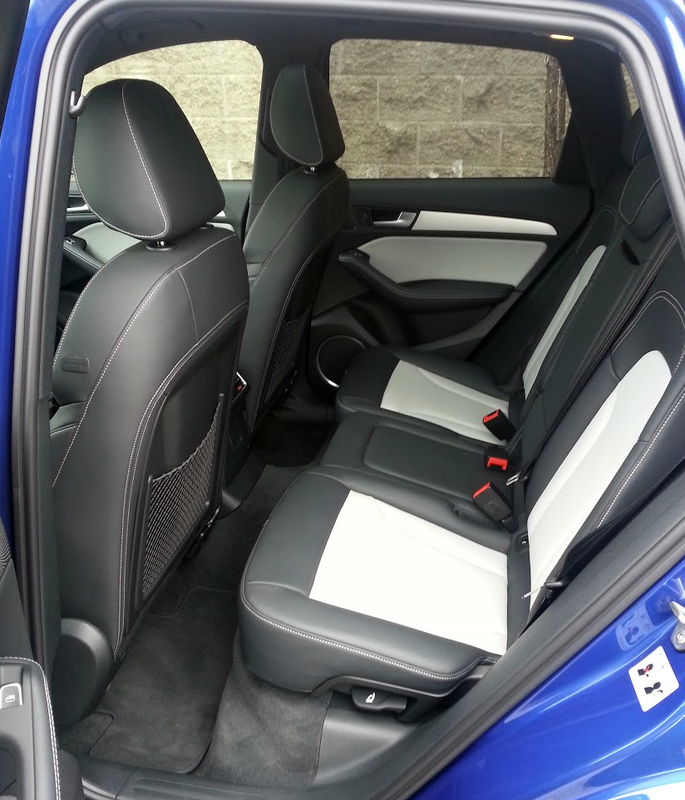 There’s ample room up front for large drivers, and the seats are plenty accommodating, even for longer commutes. Second row space is nearly as generous, though rear-seat legroom is dependent on position of seat in front of it. For the most part, any Q5 will work well enough for four adults. The cargo area is large enough, though a little on the narrow side. The second-row seats don’t fold quite flat, but the load floor is usefully low, making it a little easier to load large and heavy items. But it’s only underway that the SQ5 really defines itself as the extrovert of the Q5 lineup. Though S’s 354 horsepower may not sound like that much these days, it moves this leather-lined crossover around with impressive authority. Credit the 347 foot-pounds of torque this engine develops, most of which, seemingly, is available almost immediately upon application of the throttle. The engine sounds great, too. Though mostly silent when cruising, the Audi V6 yields a rewarding mechanical song when pressed into action, sounding very refined yet a little bit angry. The SQ5 boasts second-row space that’s better than the class average. 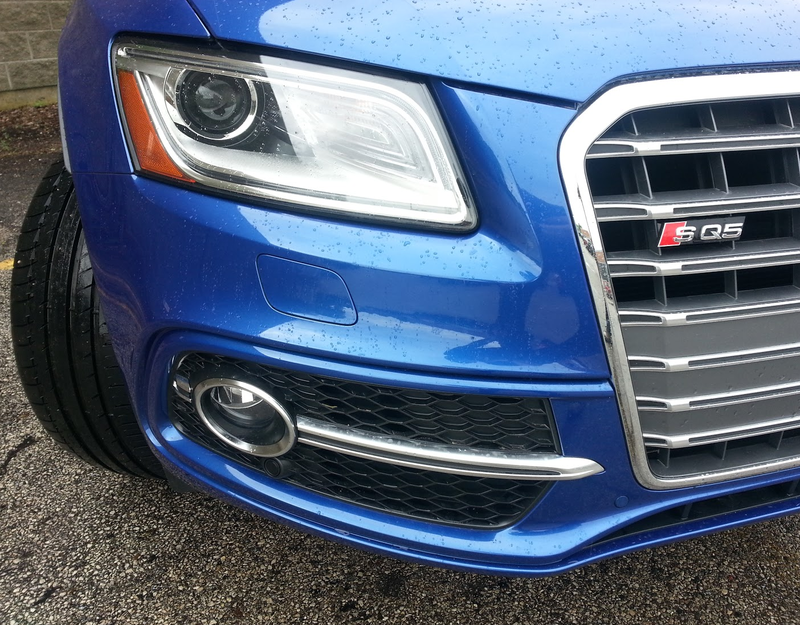 The SQ5 leans a little more in corners than BMW M and Mercedes-Benz AMG fans might expect. That makes sense, as the S-series Audis really play one level of aggressiveness down from those BMW and Mercedes sporty sub-brands. The steering is light—maybe a little too light—but very accurate, and returns enough road feedback to merit the S designation (Damon thinks otherwise, see below). 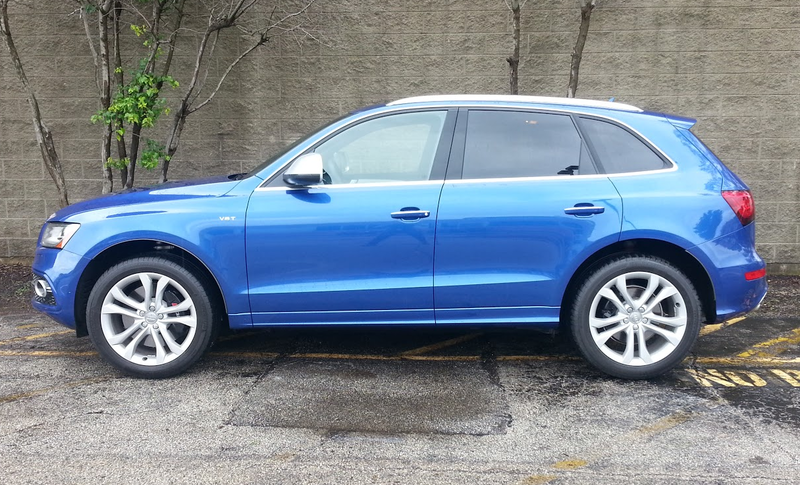 Despite its generally athletic demeanor, the SQ5 rides very nicely. Bump absorption is about on par with lesser Q5 models, as is cabin quietness—road and wind noise are well squelched. Apart from money, there’s little a driver trades off by moving from a V6 Q5 up to the SQ5. And, as noted above, the SQ5 isn’t a fire breather, nor is it meant to be. But, for any well-heeled commuter than needs the space and occasionally has access to open and/or twisty roads, the SQ5 is worth a look. The Audi Q5 is already one of the sportier premium compact SUVs on the market. Opting for the SQ5 model makes it one of the quickest too, but you’ll pay dearly for the privilege: The SQ5 starts $54,700, almost $8000 more than the $44,900 base price of the regular Q5 3.0T. The extra money nets sportier suspension tuning, unique trim features inside and out, and—best of all—an 82-horsepower bump over the regular Q5 3.0T’s turbo V6 engine (354 to 272). The SQ5’s two most logical competitors are the new-for-’15 Porsche Macan (which shares some of its basic architecture with the Q5) and the Mercedes-Benz GLA45 AMG. The Macan has a 340-hp turbocharged 3.0-liter V6, and the GLA45 has a 355-hp turbocharged 2.0-liter 4-cylinder. Our SQ5 tester arrived loaded up with options that bumped its bottom line to a sobering $60,525. Thanks in part to the optional Fine Nappa Leather Package, the cabin was indeed impeccably finished. The SQ5-exclusive exterior trim is subtle (typical for Audi), but is distinctive enough to let the in-crowd know you’ve got the top-line model. 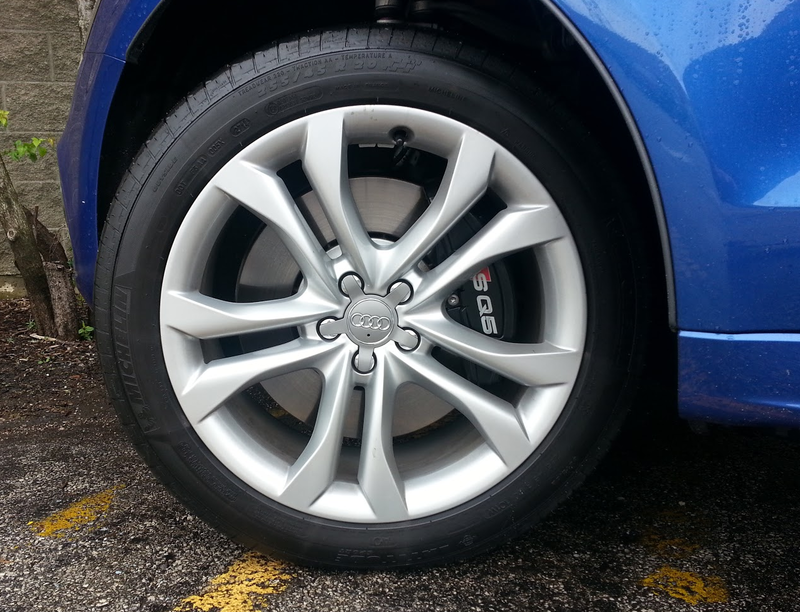 The SQ5 comes standard with 20-inch wheels. From behind the wheel, the SQ5’s extra suds are apparent, but overall the performance focus isn’t as overt here as it is on a BMW M model, or a Mercedes-Benz AMG, or certainly a Porsche. This walk-softly personality may sit fine with some buyers, but if you’re looking for a less-subtle approach, you should look toward the competition. The SQ5’s suspension strikes a nice balance between cornering prowess and an absorbent ride—it’s certainly stiffer than a regular Q5 over sharp bumps, but it’s surprisingly comfortable on smooth roads. However, the steering feel isn’t quite as communicative as I hoped for a vehicle with this kind of performance potential. Though it’s nicely boosted for easy close-quarters maneuvering, there is precious little feedback from the road and a disappointingly numb feel in fast cornering. Though the SQ5’s controls have a wonderfully high-quality feel, I’m not really a fan of the Audi MMi system. The controls are mounted inconveniently low on the dash, and some simple functions require multiple steps—distracting and annoying. 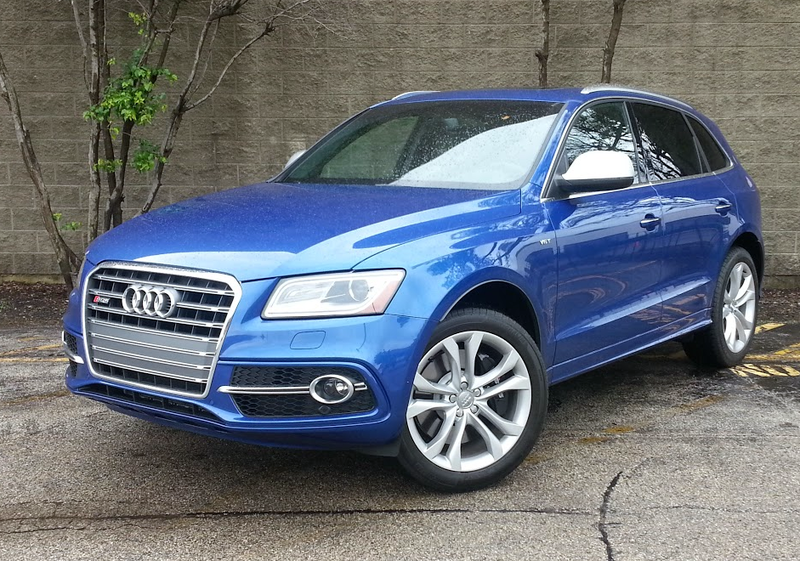 Despite its quirks and cost, the SQ5 stands out in its class. It offers a truly premium feel, decent passenger and cargo versatility, all-weather capability, and real exhilaration behind the wheel. The SQ5 enjoys an impressive 134 more horsepower than the base Q5 2.0T model. Written by: The Daily Drive staff on July 20, 2015.on March 22, 2019.